Industry 4.0 poses new challenges in the approach to maintenance management. Large amounts of data and information must be properly interpreted and analyzed in a short period of time. Mastering complex maintenance system requires employees to have extensive specialist knowledge. In the fourth industrial revolution the dominant role is played by shaping the human-machine interface. Currently, maintenance employees make decisions based on their previous experience, while in the future decisions will be made with computer support. It is only in practice that what kind of human interference will dominate. The question is whether employees operating automated systems, they will be able to gain the knowledge needed to predict emergency situations and solve problems? 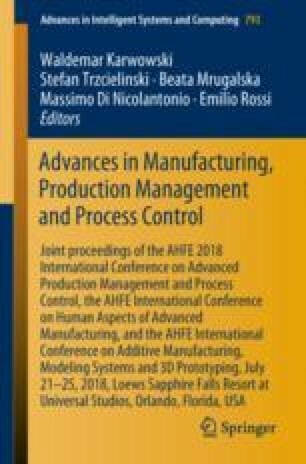 The article presents potential challenges and competences for the employees of maintenance in Industry 4.0 and prospects of trainings raising professional qualifications.